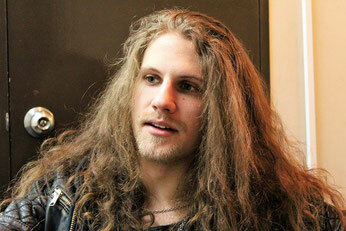 Born in the fall of 1988, Nils Molin took a strong liking to the sound of electric guitars from an early age. His life changed when he bought a Kiss album and discovered the pleasures of rock n’ roll. As a teenager he noticed he had a strong singing voice and decided to work hard on becoming a great vocalist and make a living out of performing and writing music. Fast-forward to 2017 and we can see him living his dream as Dynazty is bringing their music to many stages both in Europe and across the seas (Japan, and the USA). However the road to success was not an easy one, but the guys persevered, changing their style from hard rock to something much heavier and dynamic. Formed in 2007 by a few young and talented musicians, Dynazty had a few gigs with various singers before they completed their line-up with current vocalist and frontman Nils Molin, whom they found in the spring of 2008 through MySpace. Since then the band has released five albums – “Bring the Thunder” (2009), ”Knock you Down” (2011), “Sultans of Sin” (2012), “Renatus” (2014), and “Titanic Mass” (2016), with the last two being more (power) metal-oriented, heavier and more melodic but with the same catchiness and groove to the music and vocal melodies as their first three releases. With each album their name became more and more known both in Sweden and abroad, and their style of music more and more appreciated for their heavy instrumental side as well as for Nils Molin’s incredible vocal power. They took part in Melodifestivalen in 2011 and in 2012 but unfortunately neither their cover for “This is My Life” (originally by Anna Bergendahl) nor the energetic “Land of Broken Dreams” were elected to represent Sweden in the Eurovision song contest. In 2015 they were set to perform at ProgPower USA, in Atlanta, but the show had to be cancelled because of some visa issues that prevented some of the band members to be present at this renowned festival. The band has been “going through Purgatory on a quest for glory” to quote the chorus to “A Divine Comedy” here. 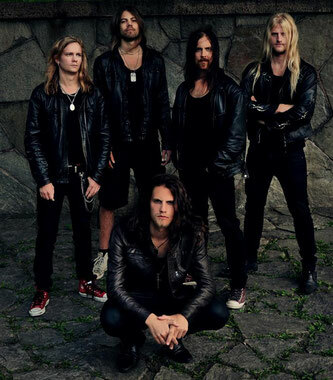 Fearless and ambitious, Dynazty quickly conquered the Swedish live scene with their energetic shows and powerful, rocking anthems and they set off to conquer the world, either as an opening act for such bands as Sabaton, Pain, Eclipse, Battle Beast (this November) or with a proper, though smaller, tour (ex: Tokyo Showdown, January 2017). Despite the fact that they have been touring relentlessly since their inception, they are not seen as a mainstream band yet. 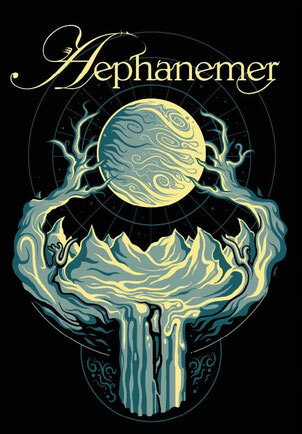 Still, they are making quite a fuss on the underground metal scene, playing small stages in pubs and clubs, concert venues, and festivals, more so now that the band has released the best album of their carrier (so far), the powerhouse that is “Titanic Mass”. This album is quite a surge of energy, heavy and hard from the first track “The Human Paradox” until the last song, the ballad “The Smoking Gun”. Nils really pushed himself vocally on “Titanic Mass” and I believe this album is his best work yet, offering some solid vocal performance few others could possibly match. He goes from powerful delivery (“Roar of the Underdog”, “Keys to Paradise” or the title track) to a more mellow approach (“Free Man’s Anthem”, “I Want to Live Forever”), to emotional (“The Smoking Gun”) really showing his vocal range and versatility. I find his voice to be a mix of Marco Hietala’s powerful vibrato and Roy Khan’s dark timber, adding some rasp when needed to make the songs grittier. Also shout-out to the rest of the band as the instrumental is heavy, melodic and well executed. American fans can see Dynazty this September as they are on the bill for PPUSA XVIII with reassurance from the organizers that there would be no visa problems this time around. 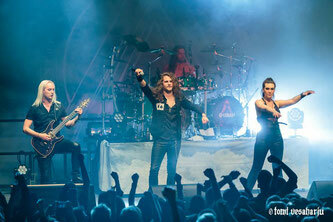 In the early spring of 2017, after the departure of Jake E., Nils was recruited by fellow Swedish band Amaranthe to fill-in for around 13 shows in Sweden and Finland, which extended to cover also some concerts in Germany and Belgium (Headbanger’s Balls Fest) in May. As I couldn’t attend any of the concerts, being from Romania, I checked out some youtube videos from those shows and Nils is clearly on top of the game – he’s headbanging, singing, interacting with the audience and the other band members and above all else, having a blast. I was and still am quite impressed with the way he fits the band as well as the way his voice blends with that of Elize Ryd and Henrik Englund. He’s using more his lower register in Amaranthe and I personally enjoy listening to his darker, sexier voice in such songs as “True” or “Amaranthine”, but I also appreciate his energetic delivery on the faster tracks as “Drop Dead Cynical” or “The Nexus”. There are some rumors going around that he could be Jake E.’s permanent replacement and I am both thrilled and worried about this. Thrilled because, as I said before, he fits well with Amaranthe, both visually and musically but worried because Dynazty would have to take a back seat as Amaranthe is a big name on the international metal scene and their tours are quite long. Apart from his work with Dynazty, Nils is quite active on the metal scene and has done a number of appearances at different events. In 2016 he performed covers of the classics “Show Must Go On” (Queen) and “Smoke on the Water” (Deep Purple) with the Bollnäs Blås orchestra. Nils was also one of the many talented musicians that took to the stage in February 2016, during RockWeekend AOR (RWAOR) festival in Stockholm (Sweden), performing, among others, “You are the voice” (John Farnham) and “Long Live Rock and Roll” (Rainbow). Nils can also be heard on Stamina’s 2012 album “Perseverance” on the anthemic, rocking track “Wake up the Gods” where his powerful voice soars about the instrumental, making it a very energetic song to rock out to. In March 2017 he took to Instagram to say that he is in Veliko Tarnovo, Bulgaria, “to sing and play a part in Nikolo Kotzev’s Nostradamus, rock opera!” for which I am very excited! With a powerful, crystal clear, melodic and emotional voice, Nils Molin is truly a force to be reckoned with. I am beyond impressed with what I have heard so far from him and I am sure anyone curious to check out Dynazty will be too! You just cannot listen to Nils singing and not be dazzled by his vocal prowess. For me, seeing Dynazty live one day is definitely on the bucket list!